Time for another link list. Try to have your suggestions in by 6:00 PM Eastern on Mondays. More during the week at Twitter. Hey! 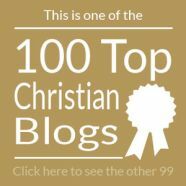 We finally made the Church Relevance list of the Top 200 Ministry Blogs, at number 143. Now what will I complain about? A giant shout-out to Kent Shaffer at Church Relevance. From the weekend: Best Mother’s Day graphic. Michael Patton notes that while Calvinists uphold ‘perseverance of the saints,’ he often encounters some among that group that lack assurance of salvation. At Red Letter Christians: The Six Worst Things About American Christianity. Wait, there’s only six? I once heard that Billy Graham once said his calling to ministry was simply that he was trying to do what Charles Templeton started but never finished. That, and the fact my father once served in ministry with Templeton draws me to articles like this one whenever they appear. Do-Not-Do-This Department: BibleDude offers six ways to ruin a mission trip. Does Greg Boyd think that, despite their different beliefs about Jesus, Mormons and Jehovah’s Witnesses are saved? Check out this five minute video. Recurring theme: This time in Northern Ireland, another printer is threatened with court action over refusing to print material that goes against his beliefs. This week at Rachel Held Evans, we were introduced to a young Assemblies of God pastor Jonathan Martin (that’s two links to RHE.) And here’s a short preaching sample. Dannah Gresh does a TED Talk at Penn State University on the subject of virginity. A blogger calls into question the youth ministry concept, in light of areas where he feels it has failed us. A former pastor and church planter now finds himself roaming among various churches and offers ten observations now that he’s not an insider. “I know who made the environment,” Mark Driscoll reportedly said. “He’s coming back, and he’s going to burn it all up. So yes, I drive an SUV.” More in a Religion New Service piece comparing Driscoll to Pat Robertson. Music video link # 1: Two years ago we did a story here on a Nepalese worship band, Aradhna. I was going to run a link to something more recent, but opted instead for one of their earlier videos which includes English translation. Music video link #2: If this hadn’t existed I would have added it to my own YouTube channel. Classic Maranatha! Music worship as Erick Nelson sings Fairest Lord Jesus. This was posted a few months ago and has only seen a handful of views. Let’s change that. Music video link #3: Classic British TV footage of Cliff Richard covering Randy Stonehill’s First Prayer. Whether or not you believe in “praying the prayer;” this is a type of song that models Christian behavior; a type of song we just don’t hear anymore. Music video link #4: From our own channel, the 1988 kids album with no kids, Prism Red rocks out Amazing Grace. Heck, let’s add it below. 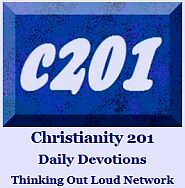 New blogs added to my 700+ bookmarks this week: The Nuance with Zach J. Hoag and a multi-author blog, Christian Blessings. Looking for more links? Ed Cyzewski offers five posts from Christian blogs you’ve never seen. He didn’t originate it, but the above graphic was found at Tony Jones’ blog who discusses the topic-we-haven’t-done-here involving a fast food restaurant we-haven’t-named-here. Tony has another link here, too. Our top link today is to one of the blogs by Camille who has Chronic Fatigue Syndrome, and writes on how to be a blessing to friends with chronic illnesses. No link on this one, but there’s a guy who comments on several blogs I read under the name Eagle, who came down with a mystery illness a few weeks back. It was so good to see how the blog community came together to encourage him and pray for him and keep one another updated. We took a week off from the link list last week only to have Clark Bunch encourage his readers to visit the link list that wasn’t here. So from our Returning-The-Favor Department, here’s a link to The Read and Share file at The Master’s Table. My wife and I find so many church-based ‘friendships’ are really task-based and disappear when the project ends or people change churches. So I liked this quote: “People frequently think they have friends at work—or church or the tennis club or any location where like-minded people gather—when in fact what they have are ‘work neighbors.’” The rest of the article is more for women and those middle-aged, but I liked that ‘work neighbors’ concept. Worship leaders not only articulate theology but in a real way they also shape theology. So they really need to know of what they sing. Zac Hicks explores this with advice for both musicians and pastors. Jim Henderson talks about the thesis of his book The Resignation of Eve in the light of a new report from Barna Research about the role of women in ministry. Bring your church bulletin to a restaurant on Sunday and get a discount. Seems like a fairly typical promotion, right? Well, a complaint has been filed with the Pennyslvania Human Rights Commission for just that special offer. In other protest news, the man who symbolically burned a box of cereal on the front lawn of General Foods died a few days later. The replacement for the “Touchdown Jesus” statue on Interstate 75 is just about ready to be put into place; and this time it’s fireproof. Did I mention Phil Vischer’s podcast lately? Seriously, you need to listen to one of these; you’ll be hooked on the series. Here’s the one where his guest was his brother Rob Vischer though honestly, Episode 13 is much funnier. So you have a choice: serious or silly. Cross Point’s Jenni Catron guests at Outreach Magazine suggesting that in church leadership, red tape was made to be cut. How small is our God? Richard Beck counterpoints the ‘Your God is Too Small’ rhetoric with a piece about finding the small-ness of God. Twenty years after his death, Christianity Today provides a lengthy tribute to the influence of Christian musician Mark Heard. Meanwhile, at a venue quite familiar to Mark Heard, The Choir performs a final song on the final night of the Cornerstone Festival. And here’s a 5-minute recap of the whole event. If you find yourself in remote parts of Africa, James Brett wants you to know how to build a rocket stove. The oft-cynical Naked Pastor, aka David Hayward pledges his new blog will be the up-side to his popular blog’s rants. And the blog Pastor Jeff’s Ramblings announces that he is shutting down the blog, and then, a day later announces the start of Pastor Jeff’s Reviews. Pat Robertson’s recent comments about marriage and divorce weren’t his only interesting pronouncements recently; he also said that the earthquake-produced crack in the Washington Monument was a sign from God. Clark Bunch at Master’s Table had a link to a very interesting article at a Southern Baptist blog site, where Dave Miller, in part 15 of an ongoing discussion, looks at the issue of Christian liberty. Actually, I’m really enjoying Dave Miller’s writing and want to recommend another article to you which looks at the issue of “who’s in and who’s out.” Are they “real” Christians if they believe in open theism, or approve of homosexuality. And what about Catholics? Catch an interview with Rachel Held Evans on NPR (National Public Radio) which looks at her “year of Biblical womanhood” experiment/adventure. Termed Ragamuffin Gospel author Brennoan Manning’s final book, All is Grace is a collection of his personal memoirs. View the book trailer. Pete Wilson tackles the idea of multi-tasking. Some of us are proud of ourselves for being able to do the mental juggling act, but a report says we actually lose productivity. At C201 this week, a piece about why you should pray out loud; and a piece which deals with the idea that nobody should hear the gospel twice before everyone has heard it once. And a varied collection of quotes about grace. Dave Wainscott has an interesting review/promotional item about the book Jesus Freak by Sara Miles, titled, If you want to see God, sit in the smoking section. Not sure on the timing of this, but the January, 2010 release may be about due for a switch from hardcover to paperback. Also in our time travel department, I noticed someone had recently linked to the home page for the Christian rock music documentary Bleed Into One, but the homepage has a 2008 copyright. I’d never heard of this film, though it looks informative. Did this movie release? I really thought that the news item here about Rob Bell leaving Mars Hill Bible Church would have produced more comments; but perhaps everyone has tired of talking about Rob. Anyway, if you missed Monday’s update, it looked something like this: “So they loaded up the truck and they moved to Beverly. Hills that is…” Okay, Rob Bell isn’t going to Beverly Hills, but we do know he’s going to California as per this (ABC affiliate) WZZM channel 13 report from his Sunday sermon. I love author interviews; this one’s a month old, but Meg Moseley has some Q&A with Abingdon Press author Linda Clare, an author bucking the Amish fiction trend with books about Native Americans. If you want to get into the extreme sport of blog surfing, check out the section with “Links – WordPress…” in the blogroll here. 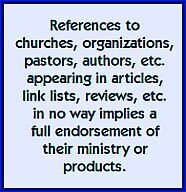 You’ll get the complete range of anything tagged “Christianity” (which seems to completely update the top ten every five minutes), “Jesus,” or “Church.” Remember, not everything you read is necessarily in favor of Jesus or Christianity, or whatever search term you use. Here’s the top ten Christian songs on Christian radio as reported at Mediabase and published in USAToday. You can follow the action at this site. Click the USAToday .pdf file option.